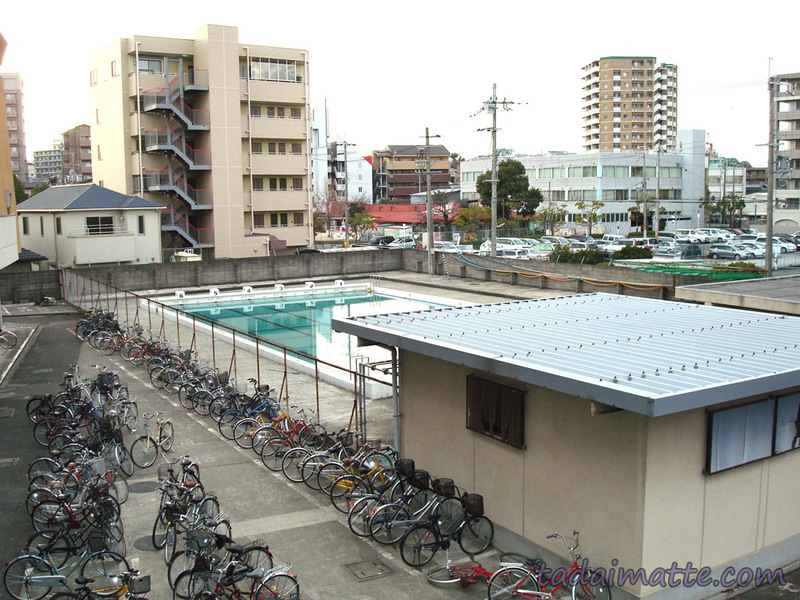 Bikes lined up in the student parking lot at school...this is probably about 1/3 of the school bike population. My first big purchase in Japan - my trusty mama-chari. I wouldn't be exaggerating to say that 90% of junior high and high-school-age students in my town got around by bicycle. Plenty of adults did, too. My students teased me a few times because I rode what they some would call a "mommy bike" - a mama-chari, its name coming from "Mama" and the sound of a ringing bell. I kitted out my mama-chari bike with two baskets, a front basket cover, umbrella and PET bottle holders, bungee cables for carrying heavy items and elastic netting to keep my groceries from bouncing out onto the road. The chain was completely covered so that it was safe to ride in a medium-length skirt, and it stood upright rather than on a kickstand. I frequently saw these bikes in use by mothers who had one child in a front basket seat and another on the back. (Full House, anyone?) After a disastrous flat tire while biking home from a town 45 minutes away with a floor chair strapped in my basket, I started carrying a can of instant air in my basket at all times. One of the best things was never having to lock my bike to a physical object. There is a circle lock built into the bike that loops around the back wheel, and you just leave the bike standing wherever. 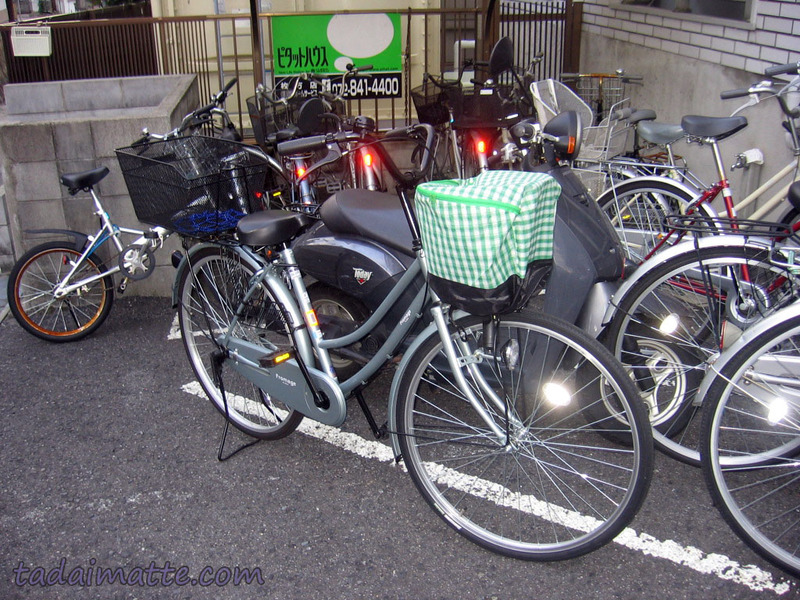 Supposedly, bicycles are "frequently" stolen in Japan, but in three years of daily riding I never had any trouble. 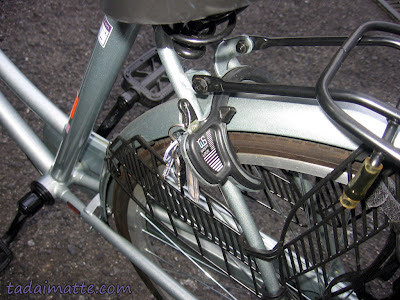 Someone took my raincoat out of my zippered basket cover once, but my bike was always right where I left it.